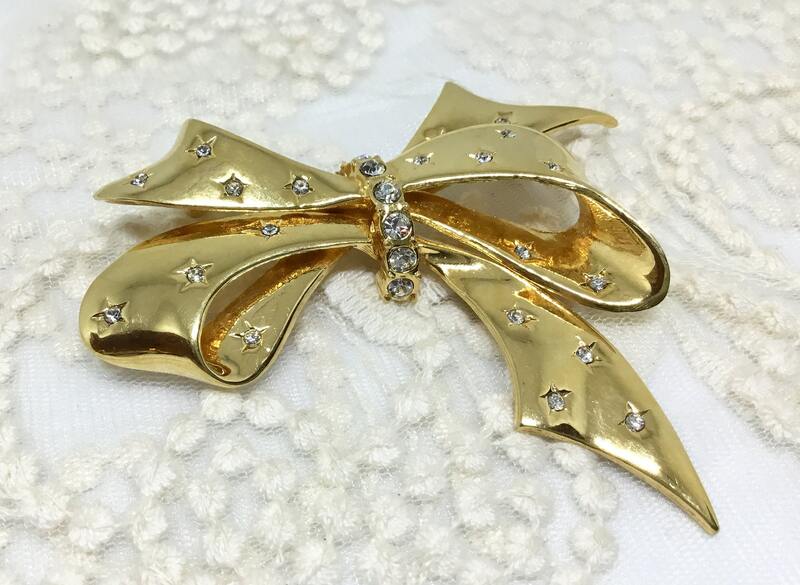 This is a large 1980s goldtone Joan Rivers signed bow brooch. 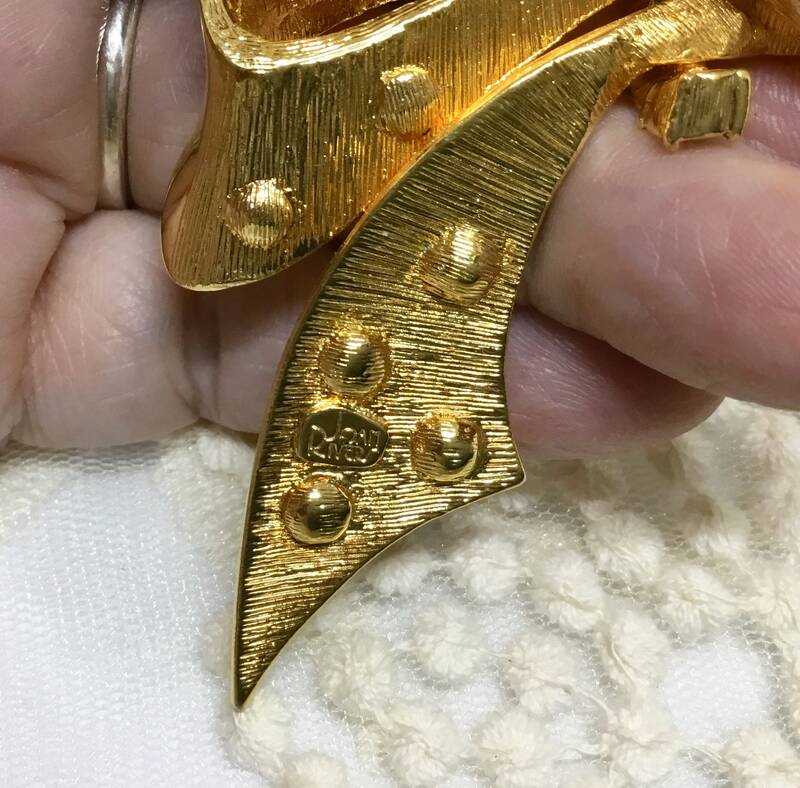 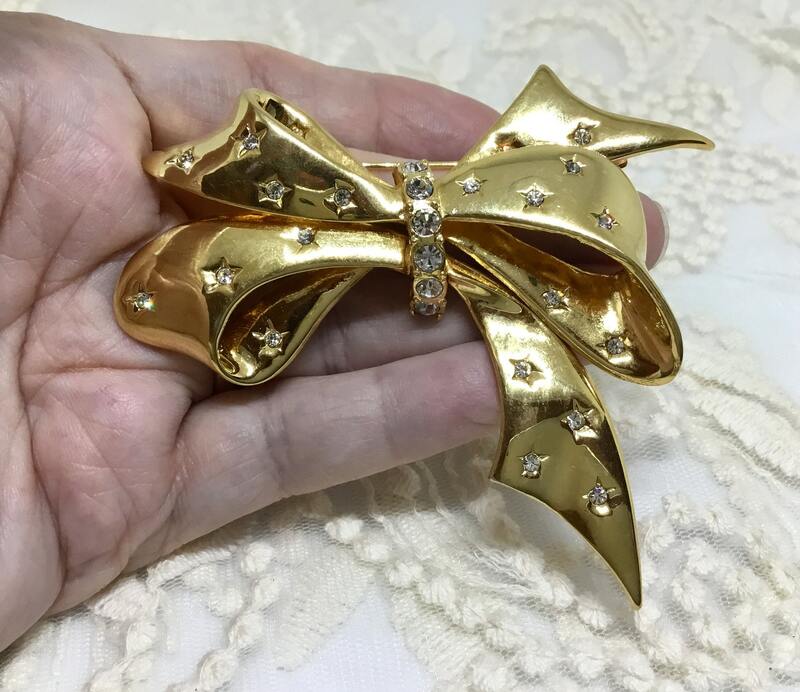 The glossy goldtone bow has multiple star indents with clear crystal centers. 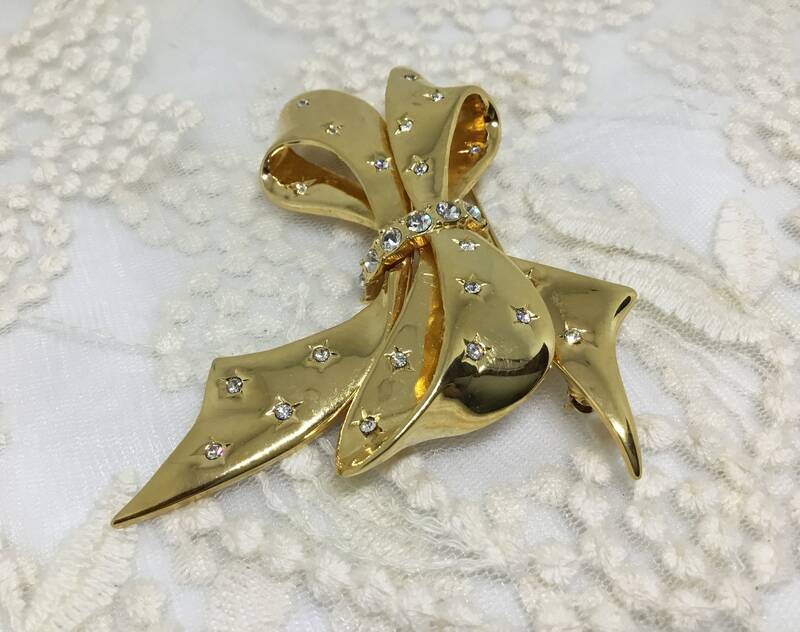 The center band also has a line of larger clear rhinestones. 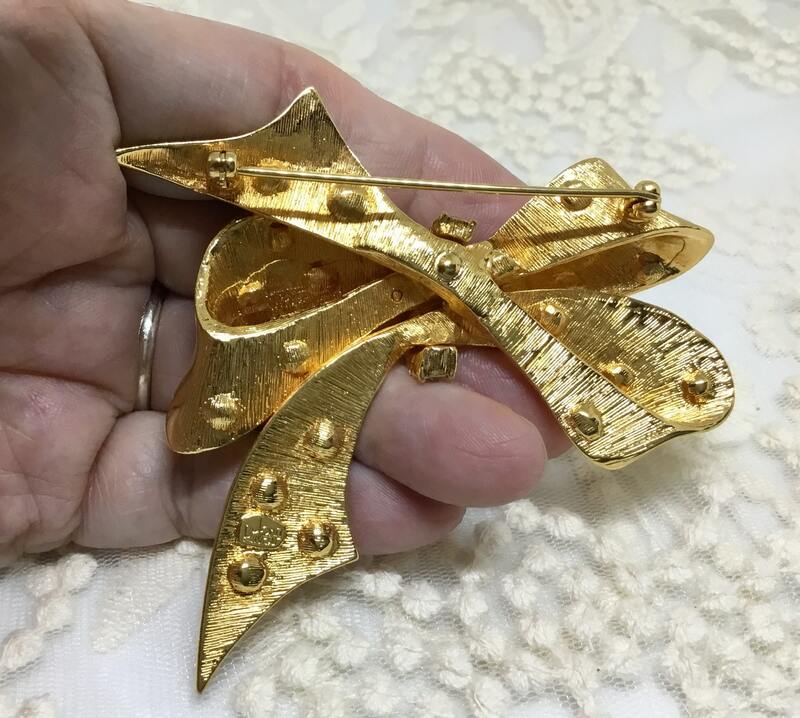 It measures 3” x 2 7/8” and the pinback is straight and works smoothly and securely. 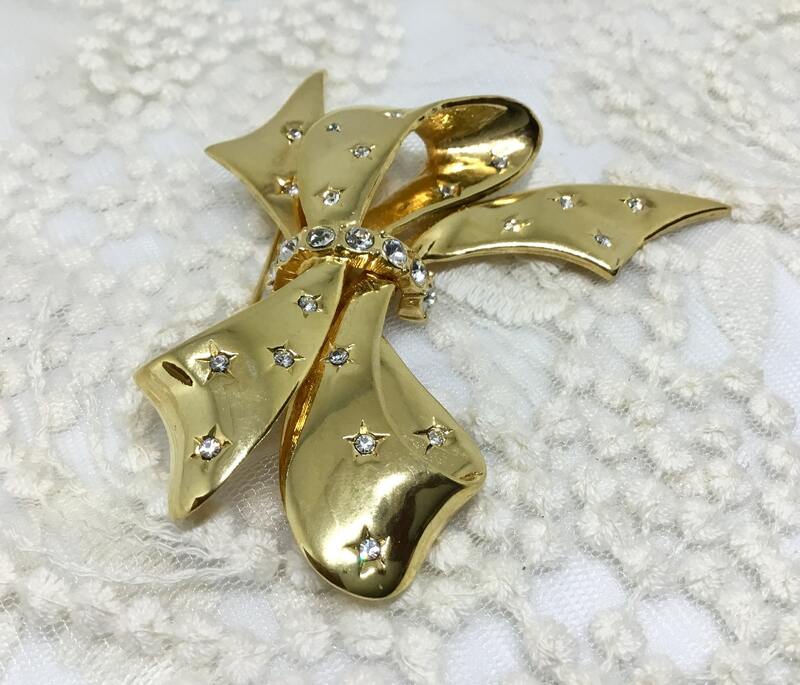 The back is in great shape and is signed Joan Rivers. 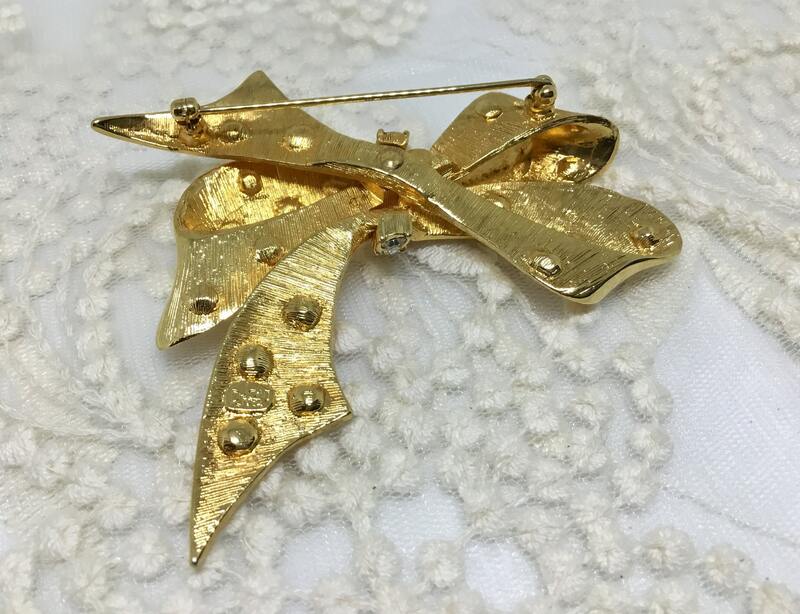 This brooch is a book piece in ”Jewelry by Joan Rivers” on page 127. 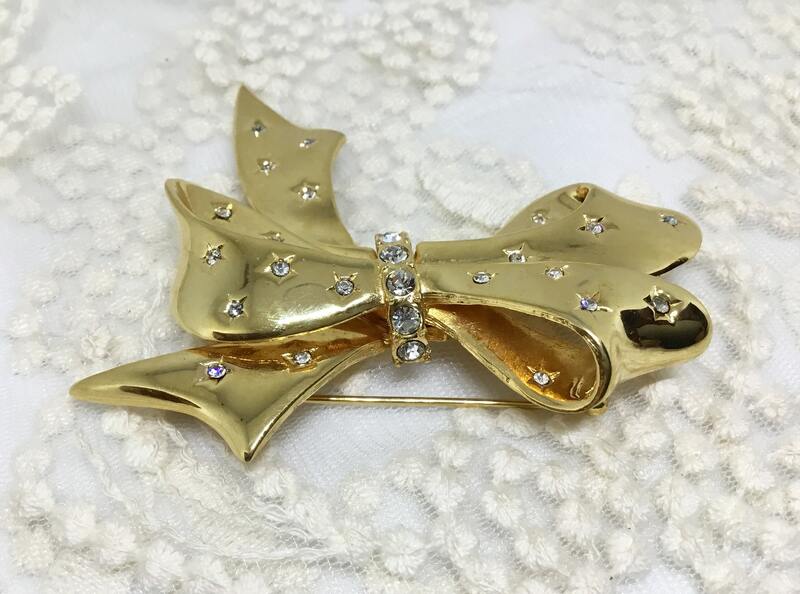 This starry sparkly goldtone bow brooch would make a great gift or a wonderful addition to your own collection!